Absolutely Stunning Home With Character.Freshly Painted Interior and Exterior.Newly Refurbished Hardwood Floors On Main.Updated Kitchen With New SS Stove & High-End over-the-range Microwave/Hood Combo.Formal Living Room with Fireplace.Relax on your covered double front porches (including off the Master Bedroom! ).3 Bedrooms,2.5 Bath.Lock and Go Living At Its Finest With Low HOA Dues That Includes Lawncare ($75/Month).2 Car Side Entry Garage.Level Cul-De-Sac Lot. 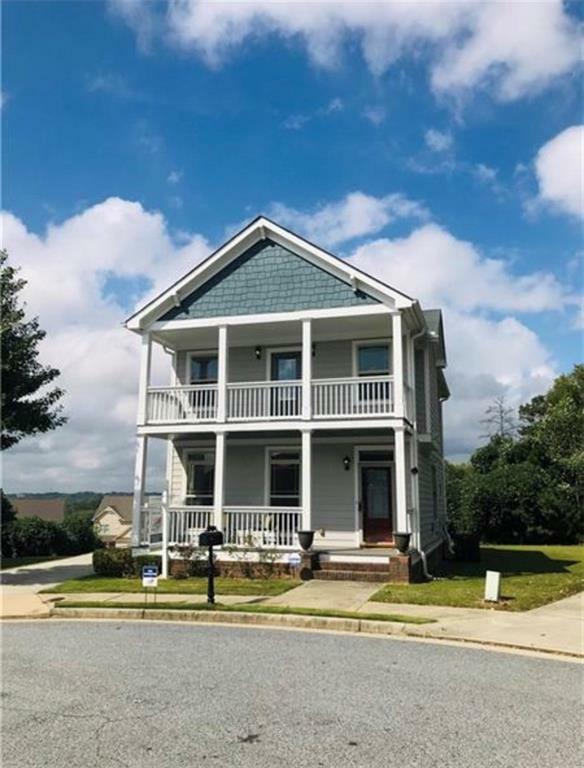 Small Quaint Community.Qualifies For $15K GA Dream HHF.10 Minutes To Downtown and Airport.A Must See!